the world [1American college of chest physicians/society of critical care medicine consensus conference: Definitions for sepsis and organ failure and guidelines for the use of innovative therapies in sepsis. Crit Care Med 1992; 20(6): 864-74. [http://dx.doi.org/10.1097/00003246-199206000-00025] [PMID: 1597042] -5Bagshaw SM, Uchino S, Bellomo R, et al. Septic acute kidney injury in critically ill patients: clinical characteristics and outcomes. Clin J Am Soc Nephrol 2007; 2(3): 431-9. [http://dx.doi.org/10.2215/CJN.03681106] [PMID: 17699448] ]. There was about 30-60% of ICU patients suffering from AKI [6Constantin JM, Futier E, Perbet S, et al. Plasma neutrophil gelatinase-associated lipocalin is an early marker of acute kidney injury in adult critically ill patients: a prospective study. J Crit Care 2010; 25(1): 176.e1-6. [http://dx.doi.org/10.1016/j.jcrc.2009.05.010] [PMID: 19781900] -12Kane-Gill SL, Sileanu FE, Murugan R, Trietley GS, Handler SM, Kellum JA. Risk factors for acute kidney injury in older adults with critical illness: a retrospective cohort study. Am J Kidney Dis 2015; 65(6): 860-9. [http://dx.doi.org/10.1053/j.ajkd.2014.10.018] [PMID: 25488106] ]. Sepsis is a major cause of AKI in ICU patients which is associated with high risk of hospital mortality [13Khatami MR, Sabbagh MR, Nikravan N, et al. The role of neutrophil-gelatinase-associated lipocalin in early diagnosis of contrast nephropathy. Indian J Nephrol 2015; 25(5): 292-6. [http://dx.doi.org/10.4103/0971-4065.147370] [PMID: 26628795] -20Neveu H, Kleinknecht D, Brivet F, Loirat P, Landais P. Prognostic factors in acute renal failure due to sepsis. Results of a prospective multicentre study. Nephrol Dial Transplant 1996; 11(2): 293-9. [http://dx.doi.org/10.1093/oxfordjournals.ndt.a027256] [PMID: 8700363] ]. Sepsis-associated acute kidney injury (SA-AKI) is usually called for acute kidney injury that is caused by sepsis. SA-AKI was diagnosed by clinical features, urinary output and serum creatinine. Neutrophil gelatinase-associated lipocalin (NGAL), which is a member of the lipocalin family of proteins, is expressed and secreted from renal tubular cells at low concentrations. High expression levels of NGAL can be induced by cell apoptosis after epithelial cell damage. A possible mechanism for this phenomenon may be that various factors stimulated renal tubular epithelial cells, leading to increased NGAL expression. NGAL can be absorbed by renal epithelial cells to regulate the expression of apoptosis-related proteins, which in turn promotes cell maturation and induces granulocyte apoptosis [9Devarajan P. NGAL for the detection of acute kidney injury in the emergency room. Biomarkers Med 2014; 8(2): 217-9. [http://dx.doi.org/10.2217/bmm.13.149] [PMID: 24521016] ]. Several studies have shown that NGAL is produced in the kidney after ischemic or nephrotoxic injury [2Ahn JY, Lee MJ, Seo JS, Choi D, Park JB. Plasma neutrophil gelatinase-associated lipocalin as a predictive biomarker for the detection of acute kidney injury in adult poisoning. Clin Toxicol (Phila) 2016; 54(2): 127-33. [http://dx.doi.org/10.3109/15563650.2015.1118487] [PMID: 26683351] , 13Khatami MR, Sabbagh MR, Nikravan N, et al. The role of neutrophil-gelatinase-associated lipocalin in early diagnosis of contrast nephropathy. Indian J Nephrol 2015; 25(5): 292-6. [http://dx.doi.org/10.4103/0971-4065.147370] [PMID: 26628795] , 18Mishra J, Dent C, Tarabishi R, et al. Neutrophil gelatinase-associated lipocalin (NGAL) as a biomarker for acute renal injury after cardiac surgery. Lancet 2005; 365(9466): 1231-8. [http://dx.doi.org/10.1016/S0140-6736(05)74811-X] [PMID: 15811456] , 19Mishra J, Ma Q, Kelly C, et al. Kidney NGAL is a novel early marker of acute injury following transplantation. Pediatr Nephrol 2006; 21(6): 856-63. [http://dx.doi.org/10.1007/s00467-006-0055-0] [PMID: 16528543] ]. After kidney injury, NGAL can be detected in the plasma of patients with AKI within 2 h, and plasma NGAL levels peak approximately 6 h after injury. Increasing of serum NGAL was related to the number of patients who failed to recover renal function [21Palevsky PM, Zhang JH, O’Connor TZ, et al. Intensity of renal support in critically ill patients with acute kidney injury. N Engl J Med 2008; 359(1): 7-20. [http://dx.doi.org/10.1056/NEJMoa0802639] [PMID: 18492867] , 26Uchino S, Kellum JA, Bellomo R, et al. Acute renal failure in critically ill patients: a multinational, multicenter study. JAMA 2005; 294(7): 813-8. [http://dx.doi.org/10.1001/jama.294.7.813] [PMID: 16106006] ]. So that, serum NGAL become an important biomarker for early detection of AKI [6Constantin JM, Futier E, Perbet S, et al. Plasma neutrophil gelatinase-associated lipocalin is an early marker of acute kidney injury in adult critically ill patients: a prospective study. J Crit Care 2010; 25(1): 176.e1-6. [http://dx.doi.org/10.1016/j.jcrc.2009.05.010] [PMID: 19781900] -8Dent CL, Ma Q, Dastrala S, et al. Plasma neutrophil gelatinase-associated lipocalin predicts acute kidney injury, morbidity and mortality after pediatric cardiac surgery: a prospective uncontrolled cohort study. Crit Care 2007; 11(6): R127. [http://dx.doi.org/10.1186/cc6192] [PMID: 18070344] ], including SA-AKI. In this study, we tried to find out the role of serum NGAL in the prediction of mortality in SA-AKI as compared with non SA-AKI patients. We studied prospectively 101 adult patients diagnosed as AKI admitted to the Intensive Care Unit (ICU). Approval for the conduct of the study was taken from the hospital ethics committee, and informed consent was obtained from the patient or surrogate decision maker. We excluded patients below 16 years of age, patients with chronic kidney disease, organ transplant recipients, malignancy, pregnant women and patients admitted for observation to stay in ICU for < 48 h.
Preexisting co-morbidities such as diabetes mellitus, hypertension, liver disease and medications were noted. Demographic data such as age, gender, comorbid conditions, clinical setting such as medical or surgical and presence of sepsis were noted. In our study, we used the Sequential Organ Failure Assessment (SOFA) score to define Single Organ Failure (SOF) and Multiple Organ Failure (MOF) [28Vincent JL, Moreno R, Takala J, et al. The SOFA (Sepsis-related Organ Failure Assessment) score to describe organ dysfunction/failure. On behalf of the Working Group on Sepsis-Related Problems of the European Society of Intensive Care Medicine. Intensive Care Med 1996; 22(7): 707-10. [http://dx.doi.org/10.1007/BF01709751] [PMID: 8844239] ]. SOF was defined when SOFA score was more than 3 in a particular organ at any time of hospitalization [27Vincent JL, de Mendonça A, Cantraine F, et al. Use of the SOFA score to assess the incidence of organ dysfunction/failure in intensive care units: results of a multicenter, prospective study. Working group on “sepsis-related problems” of the European Society of Intensive Care Medicine. Crit Care Med 1998; 26(11): 1793-800. [http://dx.doi.org/10.1097/00003246-199811000-00016] [PMID: 9824069] , 28Vincent JL, Moreno R, Takala J, et al. The SOFA (Sepsis-related Organ Failure Assessment) score to describe organ dysfunction/failure. On behalf of the Working Group on Sepsis-Related Problems of the European Society of Intensive Care Medicine. Intensive Care Med 1996; 22(7): 707-10. [http://dx.doi.org/10.1007/BF01709751] [PMID: 8844239] ]. MOF was defined when two or more organs failure was confirmed (Table 1) [17Michelena J, Altamirano J, Abraldes JG, et al. Systemic inflammatory response and serum lipopolysaccharide levels predict multiple organ failure and death in alcoholic hepatitis. Hepatology 2015; 62(3): 762-72. [http://dx.doi.org/10.1002/hep.27779] [PMID: 25761863] ]. Acute kidney injury was defined based on Acute Kidney Injury Network (AKIN) criteria [16Mehta RL, Kellum JA, Shah SV, et al. Acute Kidney Injury Network: report of an initiative to improve outcomes in acute kidney injury. Crit Care 2007; 11(2): R31. [http://dx.doi.org/10.1186/cc5713] [PMID: 17331245] ]. Patients were classified as having either SA-AKI or non SA-AKI and severity of AKI was graded as: (1) Stage 1 in proportion to 1.5 – 2 fold increasing of SCr level or an acute rise in SCr of more than 26.5 µmol/l (0.3 mg/dl) within 48 h and/or urine output <0.5 mL/kg/h (>6 h); (2) Stage 2 in proportion to 2 - 3 fold increasing of SCr level and/or urine output <0.5 mL/kg/h (>12 h); (3) Stage 3 in proportion to more than 3 fold increasing of SCr or SCr ≥ 354 µmol/l (4 mg/dl) and/or urine output <0.3 mL/kg/h (24 h) or anuria (12 h). White blood cell count >12 000/mm3 or <4000/mm3 or >10% immature bands. Septic AKI was defined by AKI in the presence of sepsis without another significant contributing factor that might cause AKI, such as nephrotoxic drugs, poisoning, bleeding, hypovolemic circulatory. Blood urea, SCr, serum electrolytes and other biochemical parameters of organ function were measured at admission. SCr was measured at admission time and daily thereafter. The steady level of creatinine at 4 weeks before admission was estimated to define baseline SCr. Otherwise, the admission value or the lowest SCr during hospitalization was used as a surrogate baseline. Serum NGAL was measured by the BioVendor Human Lipocalin-2/NGAL ELISA kit based on sandwich enzyme immunoassay method. In the BioVendor Human Lipocalin-2/NGAL ELISA, standards, quality controls and samples are incubated in microplate wells pre-coated with polyclonal anti-human lipocalin-2 antibody. After one hour of incubation and washing, biotin labelled polyclonal anti-human lipocalin-2 antibody is added and incubated with captured lipocalin-2 for one hour. After another washing, streptavidin-HRP conjugate is added. After 30 minutes incubation and the last washing step, the remaining conjugate is allowed to react with the substrate solution (TMB). The reaction is stopped by the addition of acidic solution and absorbance of the resulting yellow product which is measured. The absorbance is proportional to the concentration of lipocalin-2. A standard curve is constructed by plotting absorbance values against concentrations of standards, and concentrations of unknown samples are determined using this standard curve. The first outcome that we defined was the incidence of SA-AKI occurred during ICU stay, and the second outcome was the recovery, hospital mortality in both SA-AKI and non SA-AKI patients. All the continuous data were represented by mean and standard deviation and were analyzed by ANOVA and Student t-test. Categorical data were presented by frequency with percentage and were analyzed using Chi-square test. 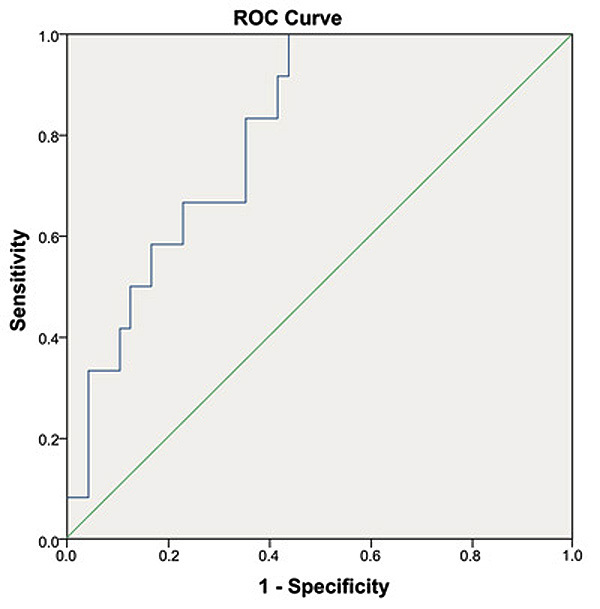 Receiver Operating Characteristic (ROC) curves with the Area Under the Curve (AUC) was calculated to predict mortality from SA-AKI and non SA-AKI patients. Multivariate regression analysis was performed to identify the predictors of hospital mortality. Statistical analysis was done using Statistical Package for Social Science (SPSS) version 17.1 (Chicago, IL, USA). A p value <0.05 was considered as significant. When compared baseline demographic and laboratory characteristics in patients with and without SA-AKI (Table 2), we found that the mean patient age was 64.41 ± 17.59 years and 59.4% were male. Incidence of MOF patients in SA-AKI was significantly higher than that of non SA-AKI, p value < 0.005. There were no different of diabetes, hypertension and anuria proportion as well as the level of serum urea, creatinine and NGAL between SA-AKI and non SA-AKI patients with p > 0.05. The comparison of hospital outcomes which included duration of ICU stay and hospital mortality rate between SA-AKI and non-SA-AKI patients was established. The results showed no difference between SA-AKI and non-SA-AKI groups (Tables 2 & 3). Baseline demographic and laboratory characteristics of patients. Comparison of outcome of patients in SA-AKI and Non-SA-AKI patients. We also established the baseline laboratory characteristics and outcome in different stages of 60 SA-AKI patients Table 4. Serum urea, creatinine, NGAL concentration in patients with SA-AKI were significantly increased along with higher stage of SA-AKI with p < 0.001. The incidence of death in stage 1, stage 2 and stage 3 SA-AKI were 20%, 30% and 75% respectively. Comparison of laboratory parameters and outcome in different stages of SA-AKI (n=60). The mean value of serum NGAL concentration (ng/ml) was significantly higher in patients who died compared to those who survived (633.56 compared with 328.84, p < 0.005) (Table 5). The result of logistic regression analysis to identify the independent risk factors for death showed that anuria and MOF were two factors that affected significantly to the proportion of death in SA-AKI patients (OR were 0.013 and 0.004 respectively, p < 0.05) (Table 6). Comparison of laboratory parameters in death and survival SA-AKI patients. Result of multivariate logistic regression analysis showing predictors of hospital mortality of SA-AKI patients. 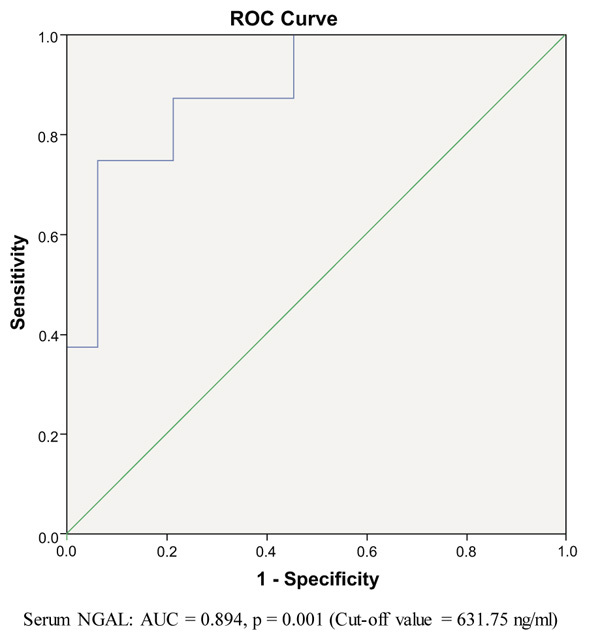 We used ROC curve model to determine the predictive value of serum NGAL to predict the hospital mortality of both SA-AKI and non SA-AKI patients. The Area Under the Curve (AUC) was 0.807 (p < 0.005) and cut-off value was 351.59 ng/ml in SA-AKI patients (Fig. 1 ). In non SA-AKI, the Area Under the Curve (AUC) was 0.894 (p < 0.005) and cut-off value was 631.75 ng/ml (Fig. 2 ). Receiver Operating Characteristics (ROC) curves for prediction of hospital mortality of SA-AKI patients (serum-NGAL). Receiver Operating Characteristics (ROC) curves for prediction of death in non SA-AKI patients (serum-NGAL). In previous study, Wan L. et al. had shown that SA-AKI met in nearly 50% of AKI-ICU patients as well as affected from 15% to 20% of total ICU patients [29Wan L, Bagshaw SM, Langenberg C, Saotome T, May C, Bellomo R. Pathophysiology of septic acute kidney injury: what do we really know? Crit Care Med 2008; 36(4)(Suppl. ): S198-203. [http://dx.doi.org/10.1097/CCM.0b013e318168ccd5] [PMID: 18382194] ]. In our study, patient with SA-AKI was 59.4% of all AKI-ICU patients (60/101 patients). Our result was also similar to that of Bagshaw SM et al. [30Wheeler DS, Devarajan P, Ma Q, et al. Serum neutrophil gelatinase-associated lipocalin (NGAL) as a marker of acute kidney injury in critically ill children with septic shock. Crit Care Med 2008; 36(4): 1297-303. [http://dx.doi.org/10.1097/CCM.0b013e318169245a] [PMID: 18379258] ], with 51.8% (43/83 patients). In septic patients, both hemodynamic and nonhemodynamic factors contribute separated important roles in the formation of AKI. The hemodynamic factors cause the loss of glomerular filtration rate while nonhemodynamic factors (immunologic, toxic, and inflammatory factors) influence through out the microvasculature and the tubular cells [29Wan L, Bagshaw SM, Langenberg C, Saotome T, May C, Bellomo R. Pathophysiology of septic acute kidney injury: what do we really know? Crit Care Med 2008; 36(4)(Suppl. ): S198-203. [http://dx.doi.org/10.1097/CCM.0b013e318168ccd5] [PMID: 18382194] ]. NGAL is a member of lipocalin superfamily which was first found in human neutrophils. Therefore, serum NGAL level in sepsis is likely to be affected by severity of infection. In our study, serum NGAL concentration in SA-AKI was higher than in non SA-AKI. This might be caused by high expression levels of NGAL can be induced by apoptotic cells after epithelial cell injury. A possible mechanism for this may be various factors stimulated tubular epithelial cells leading to the increasing of NGAL expression. NGAL can be absorbed by renal epithelial cells are regulated by the expression of apoptosis-related proteins, which in turn promotes cell maturation and induces granulocyte apoptosis. Numerous studies had shown early diagnostic and predictive value of serum NGAL in patients with AKI. In fact, being the ICU doctors, it is very difficult for us to predict patient’s outcome to give patient the best treatment for reducing mortality rate and prolonged survival time purpose, especial with SA-AKI patients. In our study, we used patient’s blood samples immediately after admission to quantitative serum NGAL which was a bit different from some other studies. At the time of hospitalization, there was no intervention, so NGAL concentrations were the least affected. At the same time, we also recognized whether the diagnostic and prognostic value of serum NGAL differed between SA-AKI and non-SA-AKI patients. In our study, we used blood test to measure NGAL concentration instead of urine by two main reasons: Firstly, most of AKI patients, especially SA-AKI patients, suffer severe oliguria, so it was so difficult for us to give urine sample of patients at the time of admission; secondly, the urinary NGAL test results were most accurate when taken on a 24-hour urine sample, but our study was a cross-sectional study at the time of admission, so it was difficult to collect a 24-hour urine sample. Septic AKI is the dominant problem in managing ICU patients. Although MOF and other complications are responsible for an increasing of mortality rate, AKI itself still contribute an important role in the increasing of morbidity and mortality in ICU patients. We had 19 patients (in total 101 patients) with MOF, in which 18 MOF’s patients in SA-AKI group and only one MOF’s patient in non-SA-AKI Table (2). We did not find any significantly differences about levels of serum creatinine, serum NGAL; or rate of patients with anuria and oliguria or duration of ICU stay, incidence of mortality (Table 3) between SA-AKI group and non-SA-AKI patients. From above results, we thought that SA-AKI patients with MOF related to high mortality rate in Vietnamese critically ill patients. 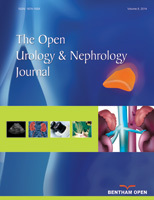 Serum NGAL had shown excellent performance on early diagnosis of AKI and prediction of clinical outcomes throughout the morbidity and mortality rate, dialysis requirement and severe complications [10Devarajan P. Review: neutrophil gelatinase-associated lipocalin: a troponin-like biomarker for human acute kidney injury. Nephrology (Carlton) 2010; 15(4): 419-28. [http://dx.doi.org/10.1111/j.1440-1797.2010.01317.x] [PMID: 20609093] ]. Our results in table 4 showed that both serum urea, creatinine, NGAL concentration and hospital mortality rate in patients with SA-AKI were significantly increased along with higher stage of SA-AKI. There were about 75% of patients who suffered from stage 3 SA-AKI died while this proportion in stage 1 and stage 2 SA-AKI were about 20% and 30% respectively. Our results were similar to study of Peireira M et al in mortality rate of stage 1 and stage 2 SA-AKI, but our study had a higher proportion in mortality rate of stage 3 SA-AKI (75% compared with 48%) [22Pereira M, Rodrigues N, Godinho I, et al. Acute kidney injury in patients with severe sepsis or septic shock: a comparison between the ‘Risk, Injury, Failure, Loss of kidney function, End-stage kidney disease’ (RIFLE), Acute Kidney Injury Network (AKIN) and Kidney Disease: Improving Global Outcomes (KDIGO) classifications. Clin Kidney J 2017; 10(3): 332-40. [PMID: 28616211] ]. This might be caused by our limitation in sample size of this group. When comparing some biochemical kidney function test, we realized that both serum urea, creatinine and NGAL concentration in death patients were significantly higher than in survival patients with p < 0.005. Our results in table 5 showed a link between the mortality of SA-AKI patients and the severity of AKI throughout renal function assessment. This helped us in prognosis for patients, especially those with high serum urea, creatinine and NGAL concentration, which might provide the best treatment for the patients and minimize the risk of death. We established a multivariate logistic regression to indentify various factors that affected to hospital mortality rate in patients with SA-AKI. We realized that anuria and MOF were two factors that affected significantly to the proportion of death in SA-AKI patients (OR were 0.013 and 0.004 respectively, p < 0.05). Severe AKI is normally associated with a reduction of urine output. This might be caused by the severity of parenchymal structural changing including tubular injuries and tubular back-leakage may be greater in patients with anuric AKI than in patients with nonanuric AKI. Furthermore, anuria frequently occurs together with multi-organ failure that can make AKI becomes overwhelming. Figs. (1 and 2 ) showed ROC curve for serum NGAL to predict the hospital mortality of SA-AKI and non SA-AKI patients. Serum NGAL in non SA-AKI patients showed a better prognostic value to predict hospital mortality than that in SA-AKI patients (AUC: 0.894 and 0,807 respectively; p < 0.005). That was an interesting result in our study. With this result, we could realize that serum NGAL level was influenced by various factors other than AKI condition. The inclusion of sepsis in AKI patients led to a variety of other disorders in the body that might affect the biosynthesis of serum NGAL as well as its prognostic value to predict hospital mortality. Therefore, further studies are necessary to assess whether factors affecting the predicted mortality of NGAL in SA-AKI patients. We also realized some limitations in our study. In our study, SOFA scores were used for determining patients with multiple organ failure. However, it had only 19/101 patients with multiple organ failure in our study (Table 2), so we did not mention the association between SOFA score and NGAL level. Maybe in further study, we might mention this issue. In conclusion, patient with SA-AKI was 59.4% of all AKI-ICU patients. In SA-AKI patients, serum NGAL and mortality rate increased along with the stage of AKI. Serum NGAL, measuring at admission time, was a good prognostic biomarker of mortality in both SA-AKI and non SA-AKI patients. In this study, we had been strongly supported by clinical application funding of our local hospital and university to complete our research. This study was approved by the Ethical Committee of Vietnam Military Medical University (No. 2890/QĐ-HVQY).